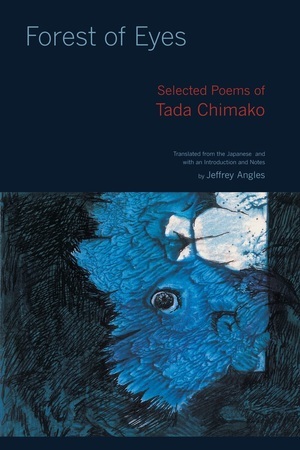 One of Japan’s most important modern poets, Tada Chimako (1930–2003) gained prominence in her native country for her sensual, frequently surreal poetry and fantastic imagery. Although Tada’s writing is an essential part of postwar Japanese poetry, her use of themes and motifs from European, Near Eastern, and Mediterranean history, mythology, and literature, as well as her sensitive explorations of women’s inner lives make her very much a poet of the world. Forest of Eyes offers English-language readers their first opportunity to read a wide selection from Tada’s extraordinary oeuvre, including nontraditional free verse, poems in the traditional forms of tanka and haiku, and prose poems. Translator Jeffrey Angles introduces this collection with an incisive essay that situates Tada as a poet, explores her unique style, and analyzes her contribution to the representation of women in postwar Japanese literature. The writing of Tada Chimako (1930-2003) is crucial to understanding modern Japanese poetry although her work is situated outside the poetic mainstream. A solitary visionary, Tada is uniquely admired in Japan for her poems, essays, and translations. Withdrawing to Kobe after the publication of her first collection, she spent most of her life close to nature, far from Tokyo, Japan’s literary epicenter. Writing poetry in both traditional Japanese forms and Western free verse and prose poetry, Tada is known as a poet of intellect and erudition but also as one of sensuality and emotion. Jeffrey Angles is Associate Professor at Western Michigan University. He is coeditor, with J. Thomas Rimer, of Japan: A Traveler’s Literary Companion. He has won translation grants from the National Endowment for the Arts and the PEN Club of America.